GSP uses industry-leading color management and retouching processes to ensure your final output looks exactly as you intended. Since 2010, GSP has been recognized for consistently meeting stringent G7® Master Printer qualification status in both digital and screen printing processes. This rigorous and sought-after standard puts us in an elite group of print service providers internationally and is one more process control we have in place to guarantee reliable, quality printing. We are proud to play our part in conserving natural resources, reducing waste and achieving more sustainable business practices. Through the use of surveys and our signature technology, we can help customers determine accurate store profiles, ensuring a 30%–40% reduction in waste so we print only what’s needed with no overage. With three production facilities, we can reduce total transportation distance and reduce overall fuel consumption. We’re proud to use recycled materials and recycle inks. We also utilize virtual office technologies to service our retail clientele and reduce our overall travel carbon footprint. These practices are good for the environment, good for our costs and, in turn, good for our clients, as it keeps prices as low as possible. Read more about our environmental commitment. GSP stocks a variety of substrates in multiple thicknesses to suit particular interior and exterior applications for graphics, signs and POP displays. 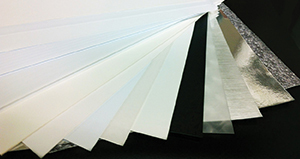 Available materials include various types of papers, plastics, vinyls, acrylics, PVCs, fabrics and other specialty materials such as magnetic, metal and asphalt adhering. We also have specialty inks available, such as multi-chromatic, pearlescent, metallic and glitter inks. 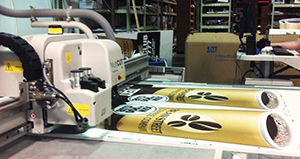 To ensure promotional signage is fabricated to the exacting professional standards, while at the same time instilling confidence in our customers that their critical delivery times will be met, GSP has internalized all the traditional fabrication and bindery steps required in POP production. In addition to the more conventional fabrication requirements like mounting, laminating, drilling, scoring and finish cutting, GSP also operates its own steel rule die making. Our cutting department also includes several routers, die cutters and guillotine cutters. This better enables us to control every aspect of your POP program so that we can offer the most eye-catching display designs without adding any lead time to the manufacturing process. Given the differences in number and size of display spaces from one retail location to the next, getting packages of signs to the right store on time can be a difficult proposition. 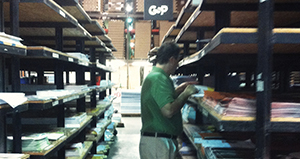 But by combining our proprietary, store-specific fulfillment software with special racking systems and store-specific, barcoded packing slips, we are able to deliver the right sign to the right store on time, every time. And, we guarantee 100% accuracy of our kits.